If using a conventional hammer you run the risk of marking or damaging your stainless steel. 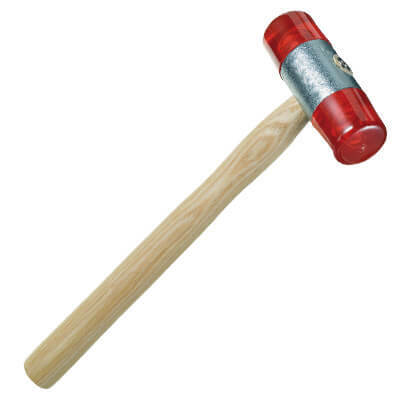 This easy-hit hammer with plastic heads is the best alternative to minimise marks or damage. Manufactured from plastic with a wooden handle for comfort grip.